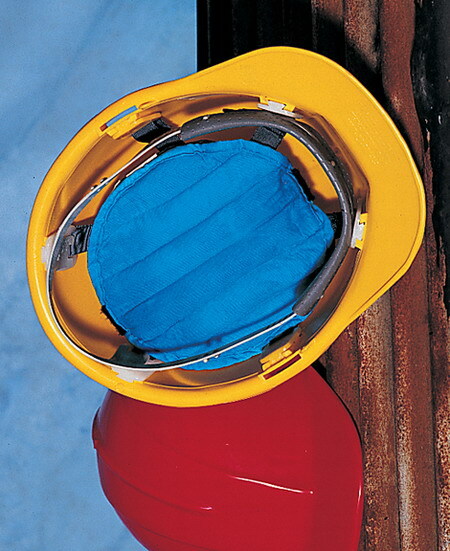 Miracool Hard Hat inserts for people who want to keep cool in hot environments where hard hats must be worn. The hard Hat cooling pad is soaked in cold water for 30 minutes. The specially formulated cooling polymer crystals absorb the cold water and stay hydrated for 2 full days. The pad is attached to the inside of your hard hat by using velcro straps. The blood vessels close to the skin in your head are cooled as they come into contact with the pad, bringing down your body temperature.